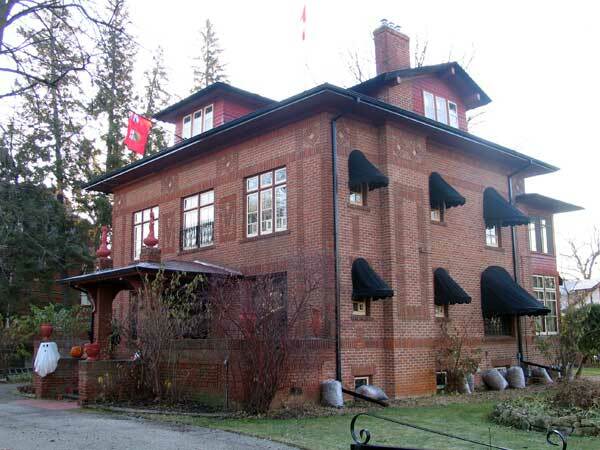 This impressive house was built in 1913 at 102 First Street Southwest in Portage la Prairie for one of Portage la Prairie’s most influential early citizens, Fawcett Gowler Taylor, a crown prosecutor, alderman and mayor, leader of Manitoba’s Conservative Party (1922-33) and a superior court judge. Designed by Winnipeg architect H. G. Holman, many of the original interior finishes and details from the Taylor family’s occupation are still apparent. The building is a municipally designated historic site. Taylor House, Manitoba Historic Resources Branch.